John Dewey (1859 - 1952) was the dominant voice in American philosophy through the World Wars, the Great Depression, and the nascent years of the Cold War. With a professional career spanning three generations and a profile that no public intellectual has operated on in the U.S. since, Dewey's biographer Robert Westbrook accurately describes him as "the most important philosopher in modern American history." 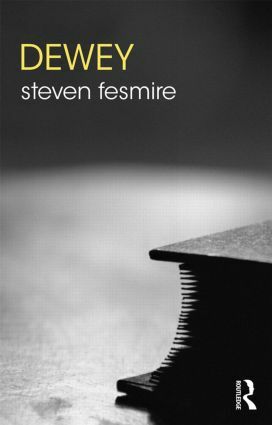 In this superb and engaging introduction, Steven Fesmire begins with a chapter on Dewey’s life and works, before discussing and assessing Dewey's key ideas across the major disciplines in philosophy; including metaphysics, epistemology, aesthetics, ethics, educational philosophy, social-political philosophy, and religious philosophy. This is an invaluable introduction and guide to this deeply influential philosopher and his legacy, and essential reading for anyone coming to Dewey's work for the first time. Steven Fesmire holds a joint appointment as Professor of Philosophy and Environmental Studies at Green Mountain College in Vermont, USA. He is the author of John Dewey and Moral Imagination: Pragmatism in Ethics (2003), winner of a 2005 CHOICE "Outstanding Academic Title" award. He is editor of the Oxford Handbook of Dewey (forthcoming 2017) and is preparing a manuscript titled Ecological Imagination: Essays in Practical Ethics and Education. He was a 2009 Fulbright Scholar at Kyoto University, Japan, and a 2016 Fellow at the Institute for Advanced Studies in the Humanities at the University of Edinburgh, Scotland. Routledge Philosophers is a major series of introductions to the great Western philosophers. Each book places a major philosopher or thinker in historical context, explains and assesses their key arguments, and considers their legacy. Additional features include a chronology of major dates and events, chapter summaries, annotated suggestions for further reading and a glossary of technical terms. An ideal starting point for those new to philosophy, they are also essential reading for those interested in the subject at any level.